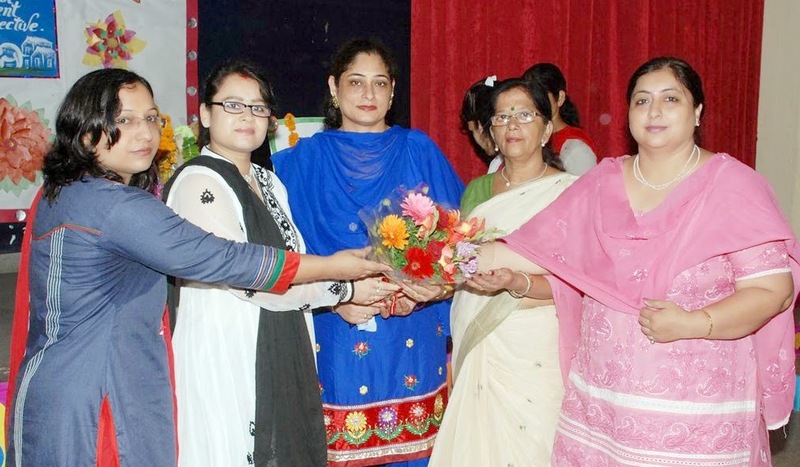 Shiksha Bharati Public School, Sector-7, Dwarka organised Teacher’s Day on 5th Sept’ 2014. All the teachers were assembled in auditorium. Goddess Saraswati and Dr. Radhakrishnan were garlanded and lamp was lighted by Principal, Vice Principal, H.M’s of Nursery and Primary wing, coordinator madam and teachers which was followed by Saraswati Vandana. Antakshari Competition was the main attraction Parvaane team won the competition. Luncheon party was given by Hon’ble Manager Madam Smt. Ramesh Kumari Bhardwaj and showered her blessings also and finally she gave away gifts to the teachers and other staff members.